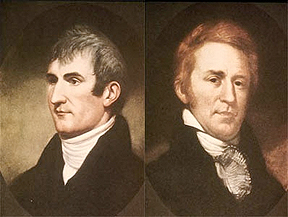 On May 14, 1804, Meriwether Lewis and William Clark along with 43 other men left St. Louis, Missouri to explore the land the U.S. had acquired in the Louisiana Purchase. Their stated goal was to map out the land and to find a water passage to the Pacific Ocean to create a transcontinental commercial shipping route. It took them 1-1/2 years to get to the ocean and another year to get back to St. Louis. Why so long? Part of that answer lies in their planning. It is odd to consider that very few white people had ventured any further west than the Mississippi River prior to 1804. The few that had traversed into the wild west and had written about it had left some details out of the story. Lewis and Clark planned their expedition based on the memoirs of Antoine-Simon Le Page du Pratz, a French explorer who interviewed a Yazoo tribe member named Moncacht-Apé. Moncacht-Apé claimed he had traveled up the Missouri River to its source, then carried his canoe to the Columbia River and paddled to the Pacific Ocean. The only problem is there was something in between the Missouri and Columbia Rivers left out of Le Page’s book – the Rocky Mountains! What happens when your best laid plans turn out to be lacking something? Let me relate this to marketing in today’s business environment. There are plenty of marketing vendors who will tell you you have to have what they are peddling. Let’s take a look at your web site for instance. A web designer will sell you on the look to attract people to your web site, the coder will sell you on the functionality of the site, the SEO folks will fill your needs in terms of adwords and keywords, the social media gurus will tell you to engage through content marketing, a developer will tell you they have the technology to integrate your e-commerce to your CSM system where all your orders will be processed automatically. It is all money in the bank, right? What is missing? There are some basics to building a good marketing plan that revolve around answering a few questions. Who is the target market and how are your products or services fitting their needs? Who influences buying decisions? What is the competition doing? What is unique about what you are selling? Marketing comes down to positioning your products/services against your competition. Yes, a web site is an essential tool, but what are you trying to accomplish with your web site? Throwing money at a blog that no one reads or keywords that no one in your target market ever searches is senseless. If you come up with a plan, make sure you are not getting the tools ahead of the plan. Boats are great for traveling down a river, but will hinder you if you try to cross a mountain range. The next steps involve implementing the plan. You need to understand the task you are trying to accomplish in each phase of marketing. Let’s go back to your web site. When someone in your target market browses your web site, what do you want them to do? Is your web site for their information, to make them more aware of your brands? If so, what action would you like them to take after they have been on your web site? Is your web site built to entice them to make a purchase? If so, what is their next step? Every marketing phase should have a next step. Eventually all marketing leads to a sale. But not all marketing leads directly to the cash register. Make sure you understand the phases of marketing and what the desired next action step needs to be. Make that clear to your audience. There is no such thing as a perfect marketing plan. There will be unexpected things that happen that cause you to alter your plans. But if you take the steps to build a plan instead of just constructing tools, you will lessen the surprises… and be more effective with your marketing dollars. Are you marketing your quality or your price? Save me! My content marketing is awash in a sea of others! 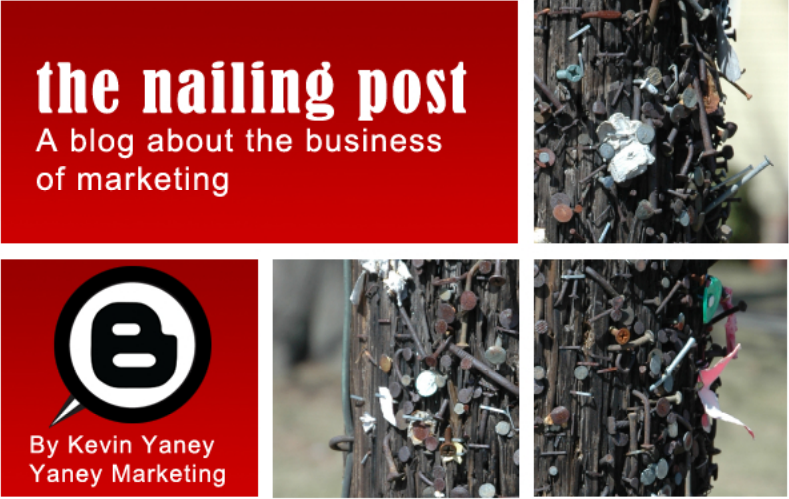 Copyright © 2019 | Yaney Marketing, Inc.